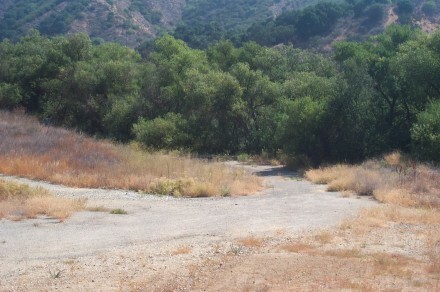 Website contributor (the late) Bob Norton checked out the old Paramount Ranch race course in 2003. 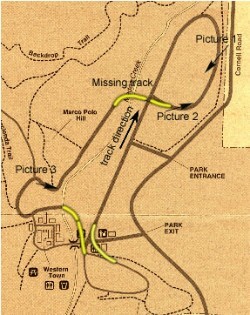 Here's a National Park map showing the track layout. Bob added the yellow sections showing pavement that no longer exists. Bob describes the photos below with links to his photos from 1957. 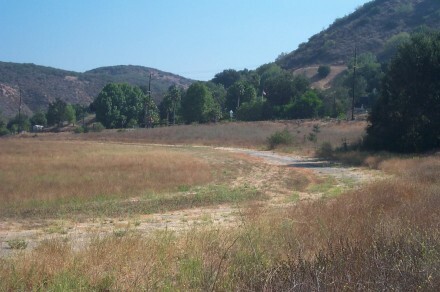 "This photo shows the turn 2 area and the overpass (if you know where to look). 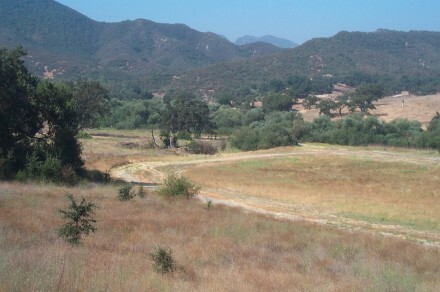 This picture is taken from Cornell Road, so as "Where They Raced" states, the track is quite visible from Cornell Road." "The second picture is taken from the same location I used in the picture of Jim Parkinson and Bob Oker." "The third picture is taken from the same location I used in the picture of Eric Hauser, although the track is more deteriorated than the previous one."